The courier is here!! You can’t contain your excitement.” leave it in the hall, thank you” you’ve signed, he’s gone. 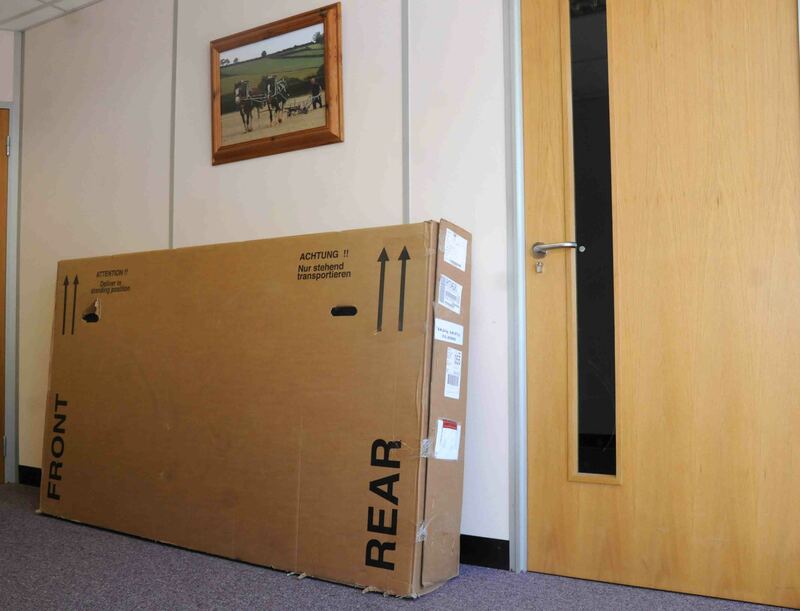 Wow, that’s a big parcel. Hmmm…you open the top and peer in…. 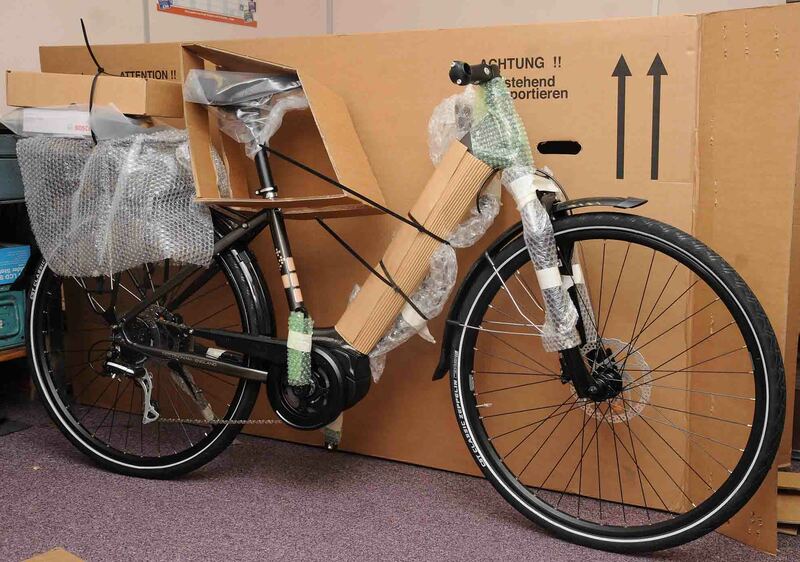 there it is, the e-bike you ordered online! It’s taken a good many months and a lot of research to finally arrive at this day. Endless online reading, studying all the different models and makes on offer out there. You’ve even been to your local independent bike store where you’ve spent around two to three hours test riding most of their stock. The staff were lovely and explained the different motors, batteries, models and makes, they allowed you to ride these and even took you further out to try hills and different road surfaces. At last, you know what you want and ask about prices and deals. The shop is offering various deals to include free servicing, ongoing support etc…. 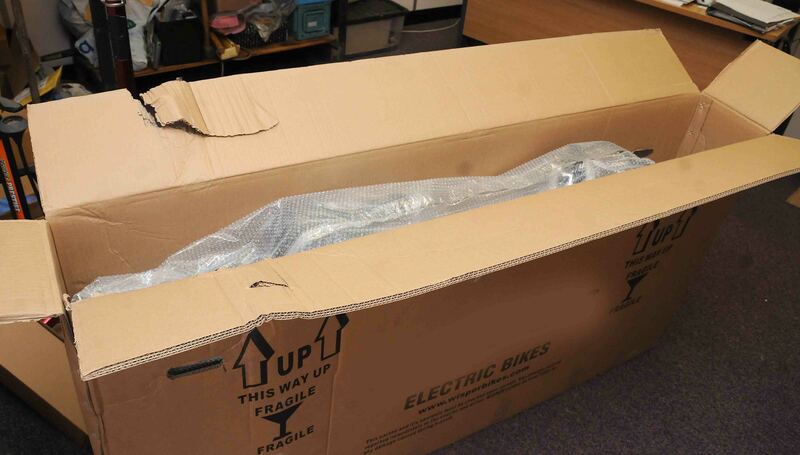 Deep down you know you should be helping the economy and ordering from the shop, who will also put your bike together, thoroughly inspect it and make sure it’s all fully charged, ready for you to take delivery and ride straight away. They’ve even offered to deliver it for free if you cannot pick it up yourself. Yet you leave muttering something about doing further research and checking on finances, ignoring the look of disbelief on their faces. Finally, handlebars straightened, pedals on, battery inserted; it’s all up together and you want to go for a ride. You switch it on, the battery is flat as are the tyres, no matter you do the tyres whilst the battery is charging…. four hours later you go for your ride and all is well. On removing the packaging from the bike, the controller is broken or there are bits missing or there is damage. You ring your online supplier and are told to rebox your purchase and send it back. You argue and get them to collect. You’ve now been riding the bike a few times when you notice a rattle; the gears are stiff and not selecting properly. The manual is online you’ll have a go at sorting this out. A few days later the problem persists. You ring the online supplier who tells you to return the goods. You’ve got rid of the box; never mind they send you another which you must pay for. How long is all this going to take before you receive another bike and restart the process? Of course, you could always take the bike to your local dealer. After all, they were so nice when you deemed it acceptable to ride their e-bikes, glean their knowledge and then buy from another outlet! Surely, they’ll put it all right for you; they said something about free servicing and ongoing support? So why not save yourself all that hassle in the first place and visit our showroom in Basingstoke where we will take care of you from the beginning and throughout your ownership of an electric bike.